I went completely crazy taking photos for this post. 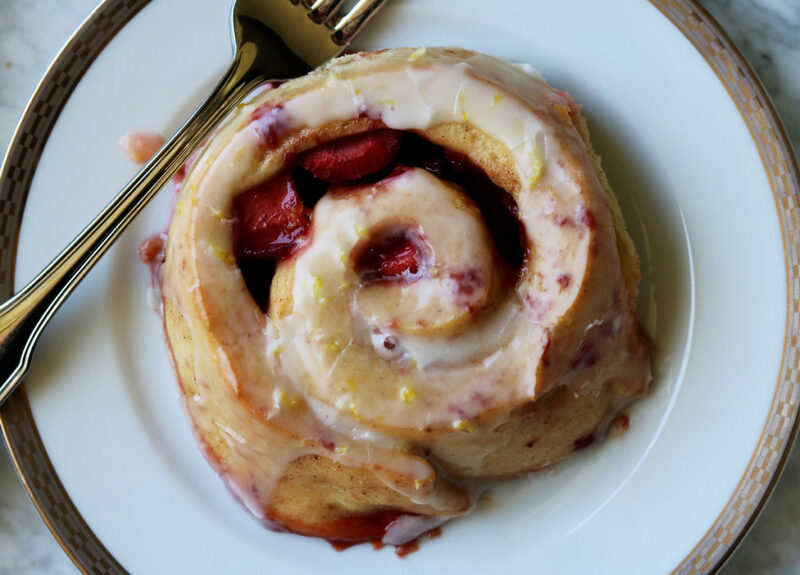 I could photograph these jam buns for days. I mean, look at them. Go on. We make a quick strawberry jam with strawberries, sugar and lemon juice + zest, nothing else. We fashion ourselves a rich dough with egg yolks, buttermilk + dotted with cinnamon and then shove it in the fridge and forget about it. 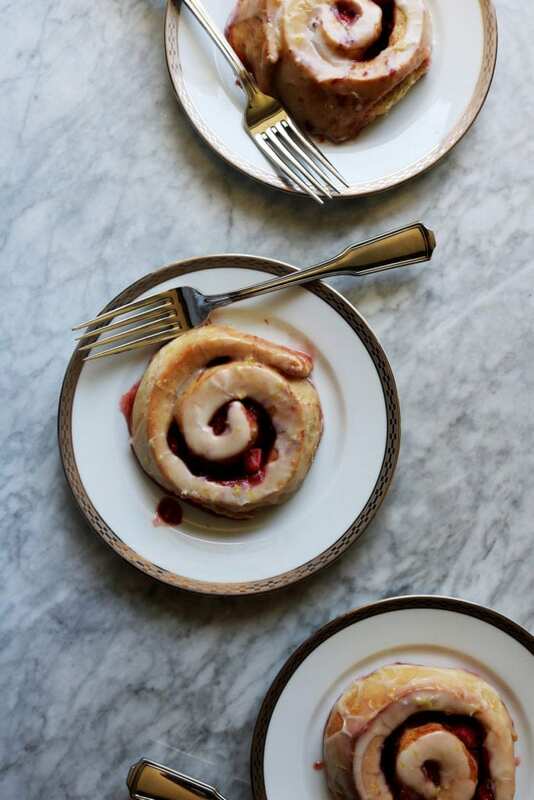 These are the kind of jam buns that you can make for an event without slaving and waiting. Because ain’t nobody got time for that. We wake up in the morning: yawn, stretch and pour ourselves some champagne. 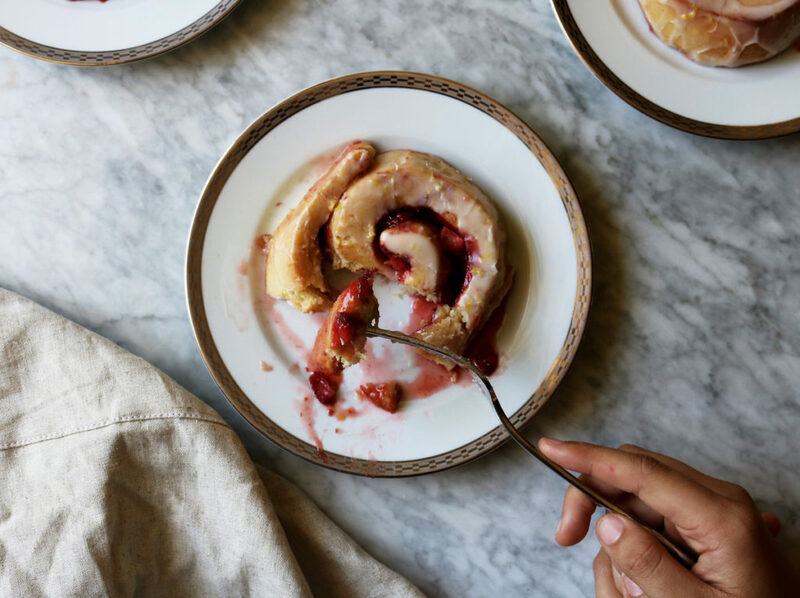 We roll up our buns with the strawberry quick jam, some brown sugar + cinnamon (in a nod to our cinnamon bun ancestors) and sprinkle with fresh chopped strawberries. She does a quick 30-minute rise (aided by boiling water and your cold oven), then 20 minutes in the heated oven and then they’re ready to glaze. 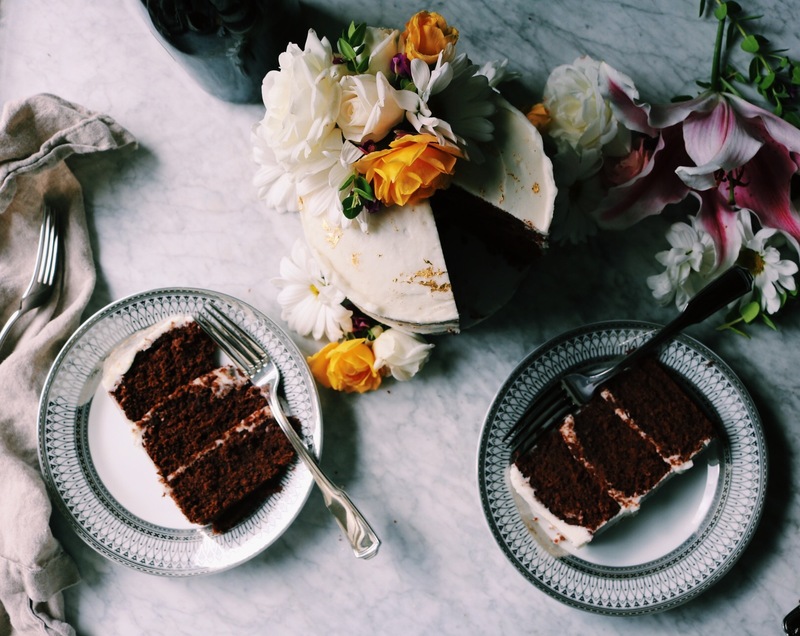 A quick whisk, drizzle and you’re done. Pour yourself another glass of champagne. The party just started. Yeast. You can use instant or active dry yeast. Either way, give your buttermilk and yeast about 15 minutes to mingle and get frothy. Rises. You can do a traditional rise system with these, where each rise is about 1 1/2 to 2 hours or until the dough doubles in size OR you can follow the instructions below and let time and steam aid in helping your dough get its rise on. Substitutions. I absolutely love buttermilk for making the dough, but in a pinch you could use milk or even water. I also am having a torrid love affair with crème frâiche that’s going on several decades strong and isn’t letting up. However, if you can’t be bothered (and that’s fair), you could easily use Greek yogurt, kefir or good old fashioned milk to thin and flavor and loosen your glaze. Oh, and if you can’t be bothered to make the quick jam (even though it’s easy) you can easily sub in some store-bought. I won’t tell. Method. We do things a little different than most overnight bun recipes. Most (all?) that I’ve seen have you stuff the buns the night before. That works when your filling is just cinnamon and spices and butter and such. But when you add in jam + fresh fruit, you get a lot of liquid that seeps out if you let it sit in the fridge overnight. Jam. I’ve learned rather late in life that making jam freaks people out. I don’t want you to picture yourself sweating over a steaming cauldron and worrying about seals and such nonsense. We’re making a quick jam that needs a minimum of six hours to chill, calm down and thicken in the fridge. You’ll have leftovers to smear on buttered toast. I know, because I’ve doing it all week. 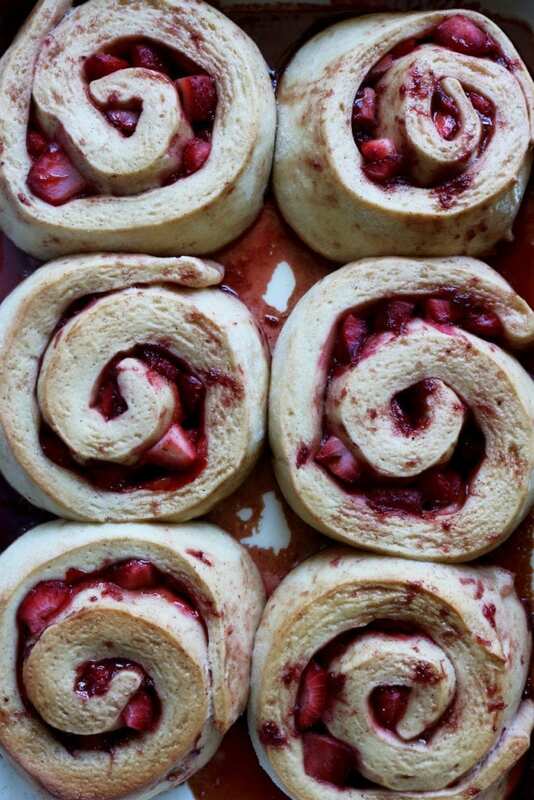 Let’s bake some jam buns, shall we? To make the strawberry jam, add the strawberries, 1/3 cup granulated sugar and 1 tablespoon each lemon juice and zest to a medium-size saucepan. Bring to a boil, mashing the berries with the tip of a wooden spoon. Continue to boil for 10-15 minutes minutes or until when you drag a spoon across the bottom of the pan it leaves a track. Let the jam cool a bit and then transfer to a lidded container and stash in the fridge until ready to assemble and bake your jam buns. Bring a pot of water to a boil. Butter or spray non-stick on your baking dish; I like to use several large casserole dishes so they have lots of room to grow and rise. 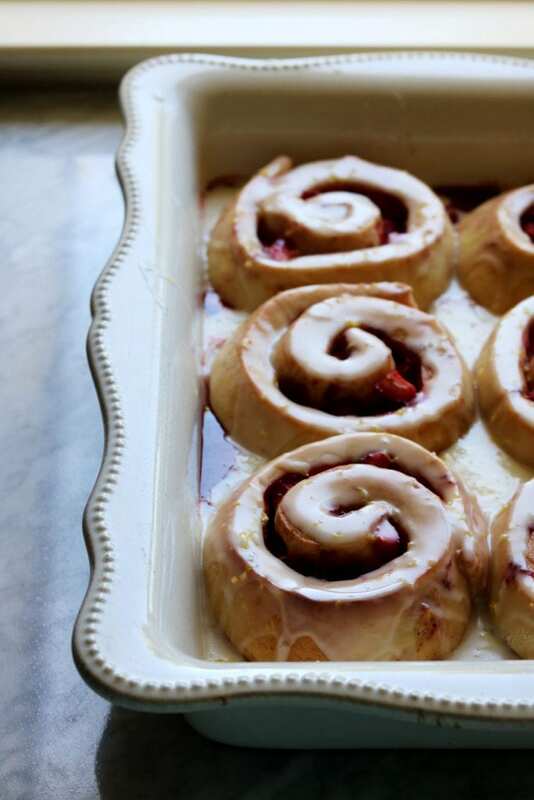 Place the jam buns cut-side up in the baking dishes, allowing several inches in between buns for rising. Place a skillet on the bottom rack of the oven, put the dishes with the jam buns on the top rack of the oven and pour the boiling water in the skillet on the bottom rack. Quickly shut the door and let the dough rise for about 30 minutes or until double in size. 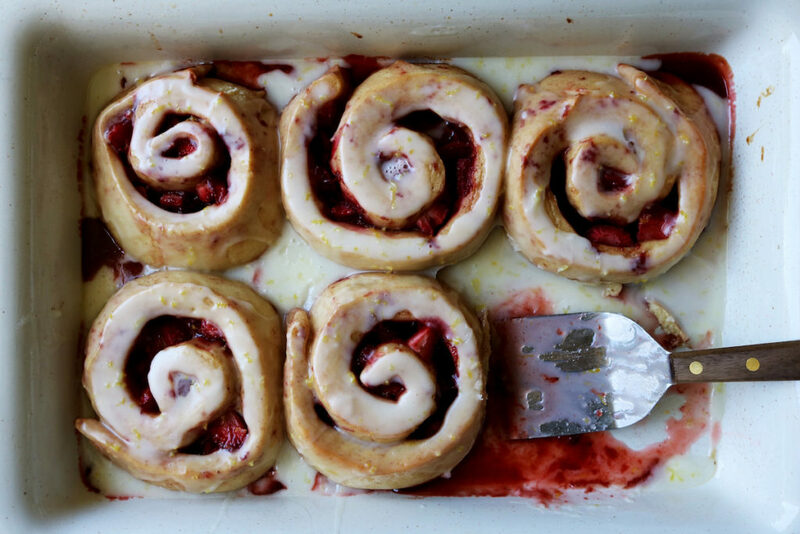 Take the jam buns and the skillet out of the oven. Preheat your oven to 350 degrees F and bake the buns in the middle of the oven for 20-25 minutes or until lightly bronzed and an internal temperature reaches 190 degrees F.
While the jam buns cool, whisk together the powdered sugar, crème fraîche and lemon juice + zest. You want the glaze to be thick enough to stay on top of the buns, but thin enough to drip down the sides. Spoon the glaze over the tops of the buns and serve! Jam buns are best the day they are made but I’ve never turned one down that was stored in an airtight container overnight. 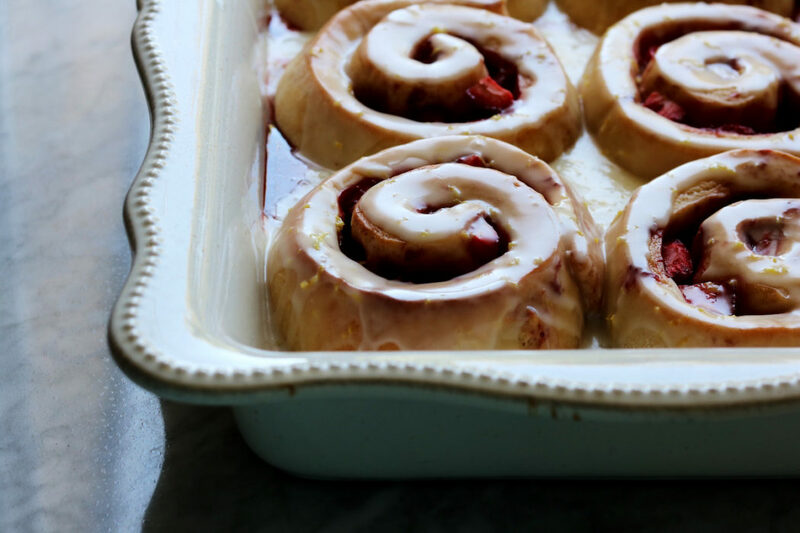 Thank you for making these beautiful strawberry jam buns! 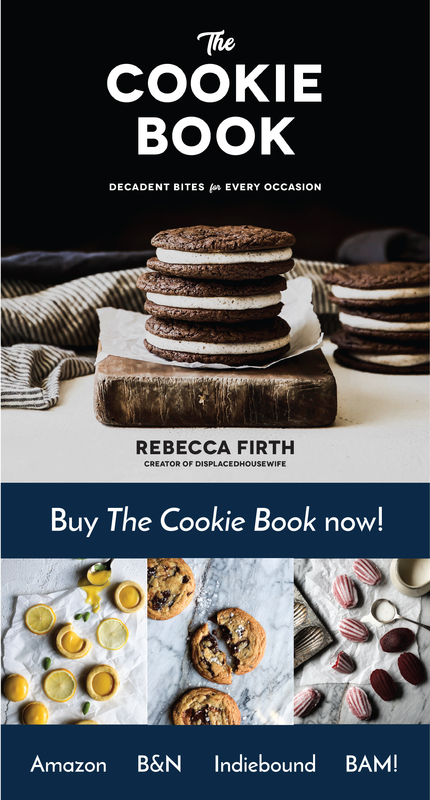 Tag me on social @displacedhousewife #displacedhousewife so I can see your gorgeous glazed jam buns!!! Hi. How are you? What’s new? I’ve been binge watching House of Cards…have I mentioned this. I know I’m late to the game…in fact every time I bring it up someone always says, meh, I’m over it. I actually shudder to think about what I’m going to watch when it’s over. I’m not leaving the country any time in the foreseeable future…sadly…but this article makes me want to get on the next plane outta town. I love street food. I’m making these buns on another feedfeed episode…I’ll link to it as soon as it’s up. Sending you heaps of love + light! 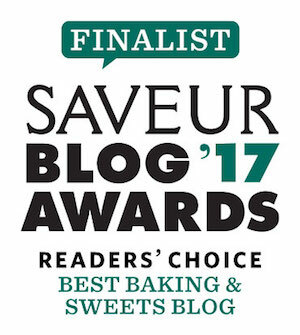 You had me at strawberry jam and lemon creme fraiche! These buns are perfection! Yummmmmmm these look epic. I tried to recreate a custard raisin bun thing we had growing up the other day, and I somehow overflowed them. In my oven. Hoooooow does that even happen. Hahhahaha. Would NOT recommend scraping bread dough off the bottom of the oven. So looking forward to the video Rebecca!!! You’ve got some nice buns!! 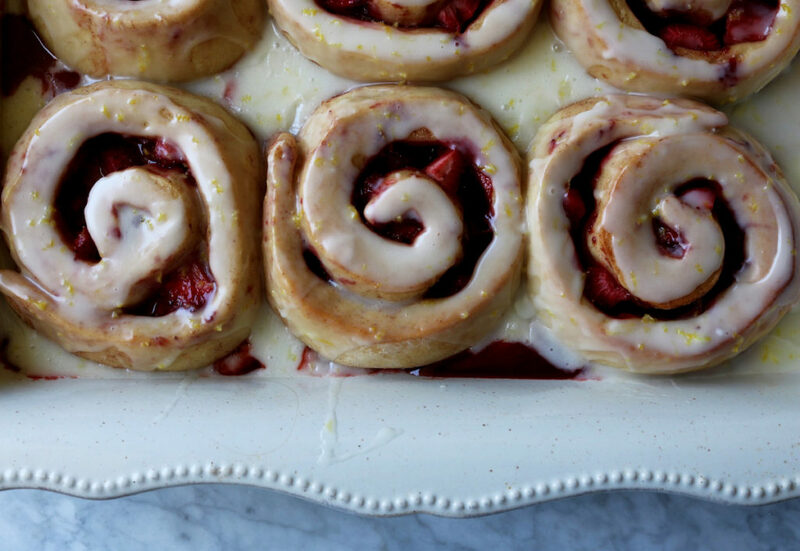 Perfect strawberry filling for summer and I absolutely love the lemon creme fraiche icing! well these sound FANTASTIC. can’t wait to see the video for it! !